Reckless Sleepers will be bringing their internationally acclaimed work A String Section to Torbay in June as part of (Extra)ordinary, 10 days of original work commissioned by Eyeview, Torbay’s Great Place Scheme Cultural Programme. Dance in Devon and Eyeview are co-producing the creation of a site-sensitive performance ‘Take a Seat’ – a dance performance by a newly-formed company of regional dance artists, exploring the simple everyday object of the chair, as a response to ‘A String Section’ by Reckless Sleepers. Take A Seat looks at what is possible for a human body to do in, on, with, or around a chair, and what the chair can mean: as a place of home, refuge, reflection, rest; but also as a place of separation and isolation. Dance Artists from across the SW are invited to apply to take part in a residency led by Mole Wetherell of Reckless Sleepers in partnership with Dance in Devon. The residency offers professional dancers from across the region a playful and collaborative opportunity to develop their practice. Exploring the conceptual approach taken by Reckless Sleepers in creating ‘A String Section’, they will also draw on their own choreographic practice to create this original performance. 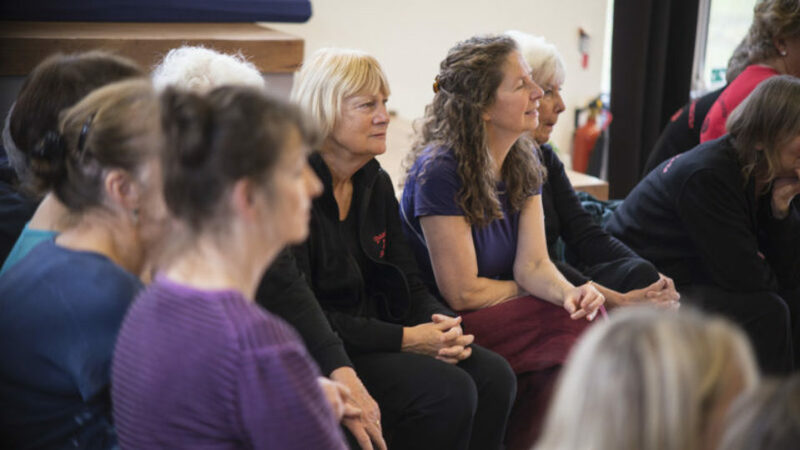 The dance artists taking part in the residency and performance ‘Take a Seat’ will be drawn from across the region including those living and working in Torbay. After the initial springboard weekend dance artists will have the opportunity to involve their other collaborators/colleagues in the creation process if they choose. Mole Wetherell will curate the final performance. Public performances will take place on Saturday 15th June 2019 matinee and evening. More info on performances. To apply to take part in the residency please visit our news pages.